It’s that time of year again! The weather is warming up and the sun in shining a little bit longer every day! It’s time to turn off the heat and fling open the windows! Pretty soon, flowers will begin to peek through the ground. You can hear birds chirping happily when you walk outside! And people everywhere will begin to tackle the dust, dirt, and clutter left behind from the long winter months. I’m a self proclaimed housework avoider, but even I know that spring cleaning has some serious benefits. 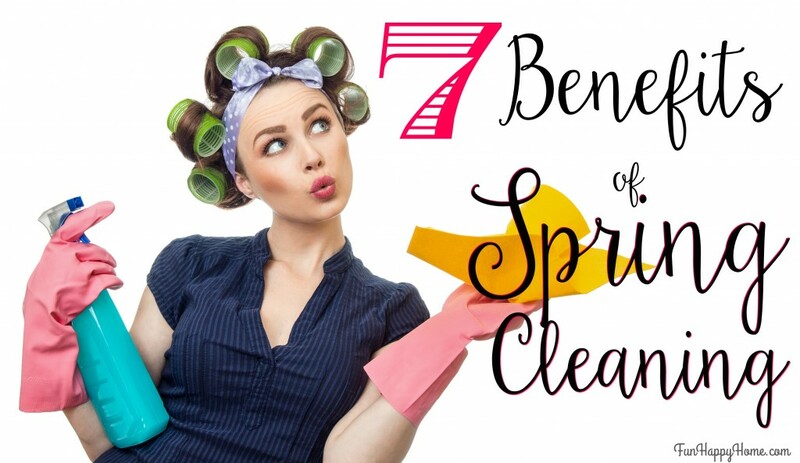 Here are 7 of my favorite benefits of spring cleaning! 1. You have a clean home. There is nothing better than having a home that’s clean and free from all the dust and clutter of the winter. 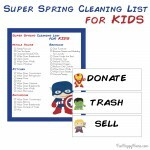 Spring cleaning offers you a fresh start. It’s like the magic of New Year’s and your birthday rolled into one! 2. You know where everything is. When you go through each room, space, nook and cranny of your home you are able to take an inventory. You’re able to find all those things that magically disappeared and put them back where they belong. You’re able to get rid of the things that you no longer use and the clothes that no longer fit your kiddos. You can add space, light, and organization to your home. I think you’ll be surprised at how many things you find that you thought were lost or that you’d completely forgotten about! 3. Better health and a home free of mold, mildew, dust and bugs. When the windows are closed all winter long your home doesn’t have the opportunity to air out. Many scientists and environmental experts will tell you that the pollution inside your home is often much worse than outdoor air pollution. Isn’t that disgusting?!? When you take the time to clean your home of mildew, dust, bugs, and mold, you’re actually improving your health. You’re also improving the health of your family and your pets. And if you use environmentally friendly cleaning products like Norwex, then you’re not filling your home with more toxins. So open those windows and enjoy some good old fashioned spring cleaning. And if you’re as disgusted as I was when I first learned that the pollution inside your home is worse than outdoor air pollution, I highly recommend that you check out Venta Airwasher. We absolutely love ours and it’s made a HUGE difference in air quality in our house. 4. You’re able to cut the clutter. Clutter is stressful. It collects and gathers dust. It prevents you from being relaxed and productive. Spring cleaning helps you eliminate the clutter. It allows you to get rid of what you don’t need and focus your time, energy and attention on the things that matter. If you’re drowning in clutter, I highly recommend checking out Decluttering at the Speed of Life by Dana White! It’s seriously helpful for tackling a mountain of clutter! 5. Your appliances last longer. Did you know that clean appliances last longer? Dust and dirt can build-up and cause problems that require you to have your appliances serviced or replace. Make sure your spring cleaning includes thorough cleaning of your appliances! 6. You appreciate what you have. There’s nothing like the feeling of having a totally clean home…and although my home never stays clean for longer than 3.7 seconds, the feeling is still amazing! When you spend your energy and attention cleaning your home, you’ll appreciate what you have even more! 7. It just feels good. Finally, it just feels great to have a clean, organized and efficient home. When your home is clean, you can focus your attention on the things that matter most…your family, your friends, your interests and your hobbies. I know that Family Movie Nights are most enjoyable when the house is clean and there’s no nagging tasks! 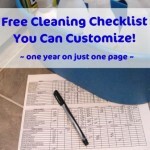 This year, when you’re planning your spring cleaning consider what you have to gain. 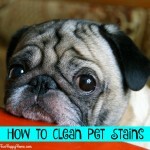 It may change your attitude toward spring cleaning. In fact, this may be your best year ever. We are definitely affected by our environments whether we’re aware or not, and for better or worse. It’s important to take control at home and create personal spaces that BENEFIT us… physically, mentally, emotionally, spiritually, etc. You’ve pointed out some good reasons to clean-up and be mindful/deliberate at home, hopefully more than just an annual spring cleaning. Psychologically we can really enhance our overall happiness and well-being by creating calm, nurturing, beautiful, personalized sanctuaries where we can relax/recharge/renew/rest each day and focus on what’s most important in our lives. 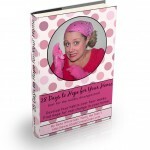 It’s a VERY worthwhile investment, whether doing the cleaning/organizing/decorating oneself or hiring a professional. Just imagining that sense of “Aaaah” can trigger action to make it happen. Happy spring! You are absolutely right about appliances lasting longer if they’re kept clean! Ever since I’ve made it a point to clean up ours after every use or at least once a week, I noticed that they functioned better and were no longer heating up as much! These are so many helpful tips! Breaking up spring cleaning into to do lists can help you accomplish everything. If you are not careful you could end up with a house full of junk and not even realize! So it is always good to plan your work and work your plan so as a busy mom work gets done! Are you like me? Whenever I clean, even a little, I get a boost of energy and motivation to start working on something else. I love this motivational kick.